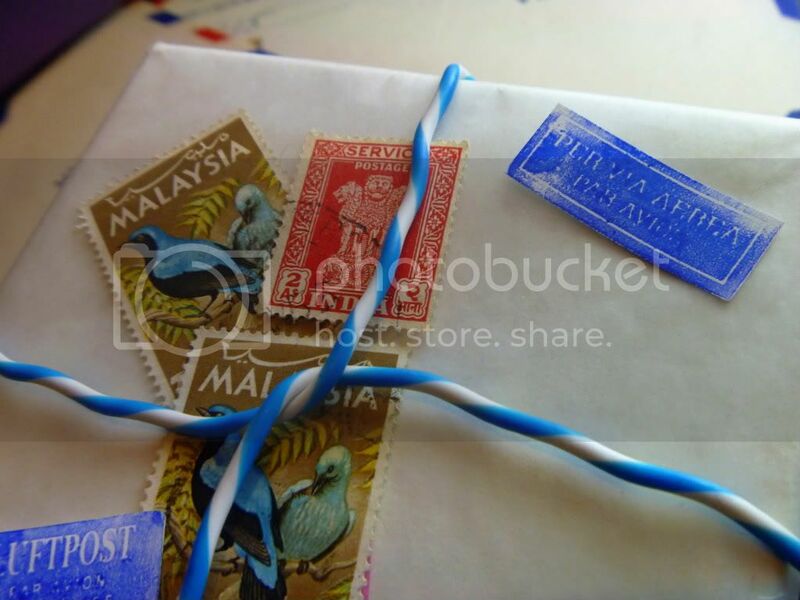 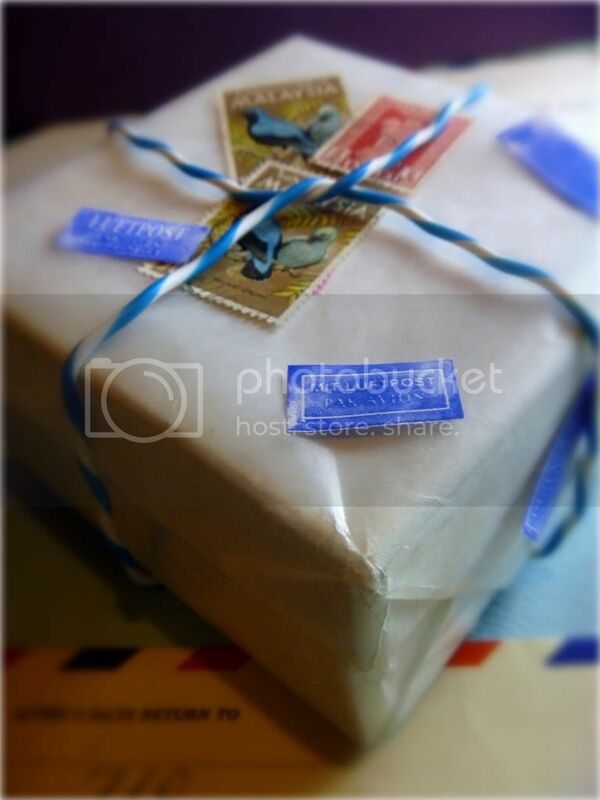 This Air Mail gift wrap style is super simple. 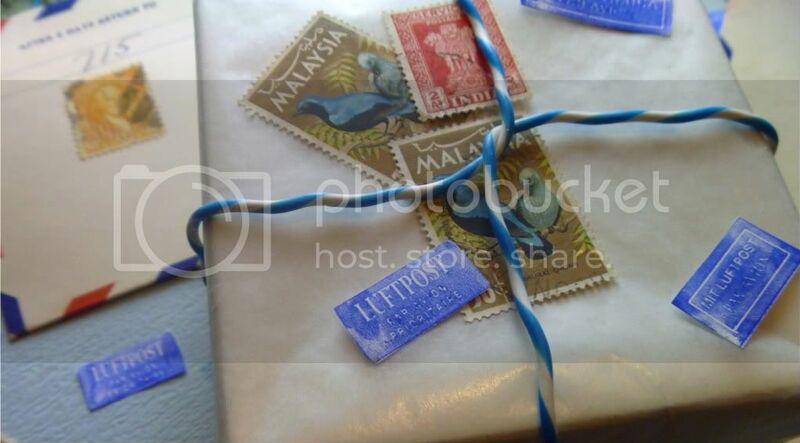 Wax paper was used to wrap the gift box, antique stamps placed here and there with a few par vaion labels created with rubber stamps and blue ink affixed. 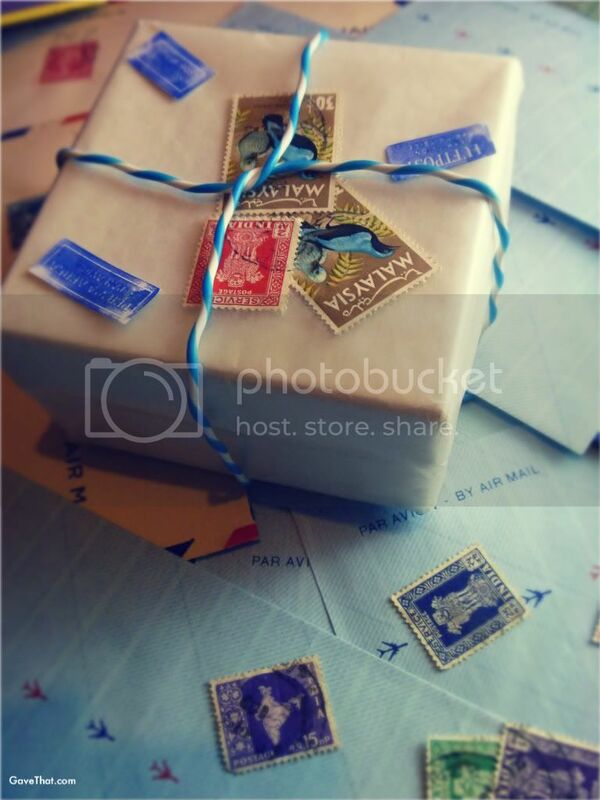 For another version see a: PAR AVION gift look here.